Been spending the last few days leveling up my gear from the boosted i483 green gear up to i496 Timeless Isles blue gear. This has been fairly interesting in that it has gotten substantially easier just dumping the quest greens. I only have 3 items still remaining, main hand (probably never be replaced without dungeon/lfr/valor points), legs, and a second trinket. I've also gone through and enchanted (via priest/enchanter) and purchased the gems that go for less than 200g each. That means, I still need enchants for weapon, belt buckle, leg armor and some how missed my wrist enchant? Drops of gear has been rather good except for hands, legs and trinkets. As you can see from my bags (top 2 rows), I have 5 TI cloaks, 2 TI belts, 1 TI boot, 4 TI chest, 3 TI helms, 1 TI shoulder, and 2 TI rings, in addition to the single that I've converted to gear for each slot. The two rows of gear under that are all the items I've replaced (or not equipped). Still need to put guild tabard until Exalted, and got a ring drop, so I replaced one of the TI rings. I am holding on to at least one piece of each type gear, hoping the Burden of Eternities would just drop off every boss nowadays!! Started looking at LFR. Interestingly, the options that are immediately open to me as a tank are odd. The starting raid for each of the 'options' is available to me. "You don't have the Achievement" for the others. I had totally anticipated having to run through ALL of them start to finish, before SoO would come available. I am guessing, that if I run Last Stand, I could bypass Dread Approach (hate the Dorumu fight). Trying to find me a video guide on tanking in Mists. 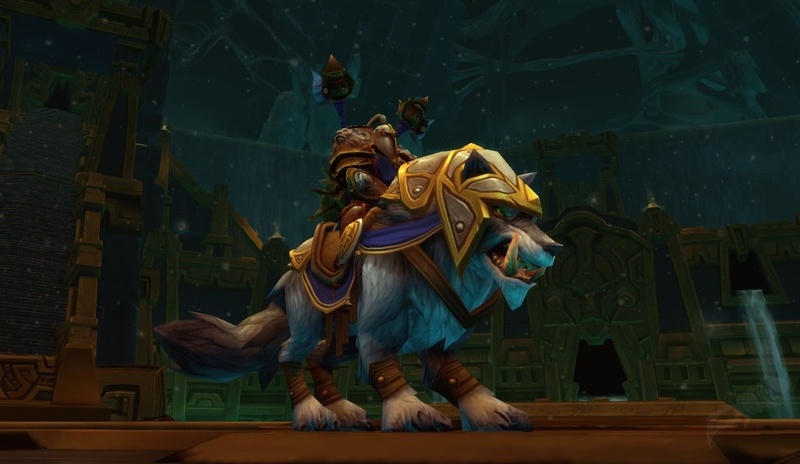 I would settle for a good Guardian Druid play-through of Guardians of Mogu'shan.